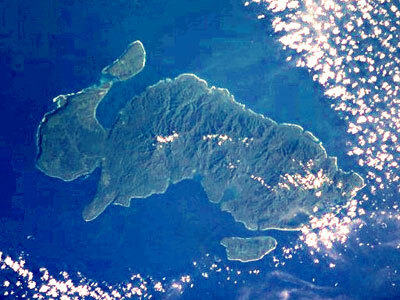 An 8.0-magnitude earthquake struck the Solomon Islands in the South Pacific on Wednesday. At least five people died as the disaster reportedly flattened several coastal villages. Five people were confirmed dead in the disaster. They were two elderly men, two elderly women and a boy aged between 10 and 12, local medics said. The epicenter of the tremor was located at a shallow depth of 5.8 km in the area of the Santa Cruz Islands, the US Geological Survey initially reported. It later revised it to a much greater depth of 28.7 km. The first tremor was followed shortly after by two strong aftershocks – one rated at magnitude 6.4 and another at 6.6 – and dozens smaller ones over the next few hours. At least three villages along the Lata coast have been reported destroyed, Director of Nursing Augustine Bilve at Lata Hospital told New Zealand’s One News. He said up to 700 people lived in the affected villages and the hospital was expecting many casualties. “It's more likely that other villages along the coast of Santa Cruz would also be affected," Bilve added. A tsunami wave measuring 0.9 meters reportedly hit the Solomon Islands. The Pacific Tsunami Warning Center issued a tsunami warning for the Solomon Islands, Vanuatu, Nauru, Papua New Guinea, Tuvalu, New Caledonia, Kosrae, Fiji, Kiribati, and Wallis and Futuna islands. "Sea level readings indicate a tsunami was generated," the Hawaii-based Pacific centre said. "It may have been destructive along coasts near the earthquake epicentre and could also be a threat to more distant coasts." The warning prompted residents in Honiara, the Solomons’ coastal capital, to flee for higher ground to the hills outside the city. But the situation mostly remained calm with no signs of panic, according to local media. "People around the coast and in the capital are ringing in and trying to get information from us and the National Disaster Office and are slowly moving up to higher ground," said Atenia Tahu, who works for the Solomon Islands Broadcasting Corp. in Honiara. "But panic? No, no, no, people are not panicking." A medical official on the main Santa Cruz island of Ndende said that there were reports of destruction. "The information we are getting is that some villages west and south of Lata along the coast have been destroyed, although we cannot confirm this yet," the director at Lata Hospital, told AFP. The Solomons comprise more than 200 islands and are home to about 552,000 people. The archipelago lies on the Pacific Ring of Fire, an arc of seismically-active zones stretching around the Pacific Rim, making quakes common there. A magnitude 8.1 quake that hit Solomon Islands in April 2007 killed more than 50 people and left thousands without homes. Map locating the epicentre of an 8.0 magnitude quake that struck off Solomon Islands.